Josh, his wife Stephanie, and their son Nathaniel currently live in Washington, DC. Josh is currently the founding and lead pastor of the Apostles Campus Church, a congregation of the Church of the Apostles parish on the campus of George Mason University in Fairfax, VA. The Apostles Campus Church is a multiethnic congregation raising up a new generation of leaders to serve Christ’s church. Josh is passionate about raising up diverse leaders to work toward unity in the Body of Christ and to spread the good news of Jesus Christ in the ever-changing landscape of North America and beyond. But a new season is coming for Josh, Stephanie, and Nathaniel. At the end of 2018, Josh will be transitioning his role to serve as part of the Cornerstone parish in the Chicago area by helping to support and form new congregations in the greater Chicago area, especially northwest Indiana. 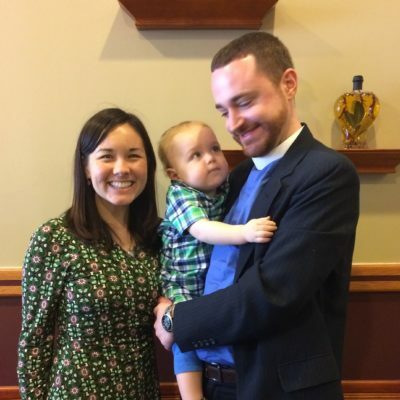 Josh will start by focusing on building lifelong disciples of Jesus, and he hopes to develop new leaders who can be sent out to start new congregations and serve churches all over the ACNA and Anglican Communion.